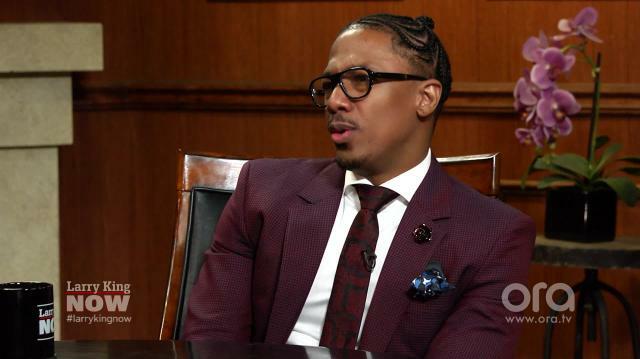 Referring to himself as a “conspiracy theorist,” Nick Cannon says “it was designed” for Hillary Clinton to become the next POTUS, suggesting that Donald Trump is the Republican nominee in a sense to ensure Clinton’s presidency. King: Would it be safe to say, if Nick Cannon does vote, it would be for Hillary?Cannon: Ooo, you can vote for yourself right? King: You can write your name in. You could write my name in. Cannon: That! I would vote for you! King: Ok! I say black lives matter! Cannon: There it is! You got my vote! We can be on the ticket together, the King/Cannon. The King/Cannon ticket. King: My son's name is Cannon, first name. Cannon: See, there it is. King: Give me a prediction.Who's going to win the election. to be our next President, they just put Trump up there to be like, yo we gotta find somebody worse than Hillary. Get the guy who's the host of "The Apprentice."